The Comparative Education Society of Asia (CESA) is an association of educational scholars, throughout Asia and beyond, engaged in the comparative study of educational systems, traditions, and practices. It was created in 1995 with the aim of promoting Comparative Education as a scholarly field across Asia, and lending more prominence to Asian voices in educational debate worldwide. With these ends in view, CESA holds biennial conferences in various Asian locations – including, to date, China, Japan, Indonesia, Thailand, Taiwan, Hong Kong, and Malaysia. Whenever possible, CESA attempts to identify venues in countries which seldom have the opportunity to host major international education conferences, and that therefore stand to gain especially from the opportunity to interact with international scholars that CESA’s conferences provide. CESA is a member of the World Council of Comparative Education Societies (WCCES), in which its representatives play an active role. In addition to its biennial conferences, the Society plans soon to extend its activities into new areas – for example, by establishing an e-journal. For more details and history about CESA, please click on the link below. CESA chapter by Kengo MOCHIDA, in histories of the WCCES and its member societies. It is my great honour to have the opportunity to serve as President of the Comparative Education Society of Asia. Since it was established in 1995, CESA has grown in membership, geographic representation, capacity, and academic influence. It has functioned successfully as a platform for promoting exchange and cooperation in research and teaching, as well as mutual understanding, friendship and international dialogue amongst those engaged in researching education in, or about, Asia. In an age of dramatic social and technical change, education in different countries and regions faces similar challenges, problems, and difficulties. CESA as an academic community should operate as a platform for collaborative research into such issues, for promoting the balanced development of education across Asia, and for advancing the frontiers of educational scholarship. In recent decades across Asia, numerous masters and doctoral programs in Comparative Education have been launched or expanded. CESA can and should do more to facilitate and strengthen networks amongst relevant institutions to improve the quality and range of Asian scholarship in the field of Comparative Education. It can do this, for example, through enhancing mechanisms for promoting faculty and student mobility, organizing professional development events (such as the writing workshops held in conjunction with our conferences since 2016), and upgrading its website and enhancing its online presence. Through these and other measures, CESA can make an even more significant contribution to creating an Asian community of educational comparativists – the core aim espoused by its founders almost three decades ago. The development of Comparative Education across Asia has been uneven. As the president of CESA, I call on established scholars in this field to volunteer their assistance to those institutions, countries or regions where the tradition of Comparative Education is relatively weak, in order to help build new programs and draw those who have been isolated or overlooked into closer engagement with their international colleagues. In this age of globalization, the development of CESA as well as its individual and institutional members is closely intertwined with the development of the broader Comparative Education community globally. 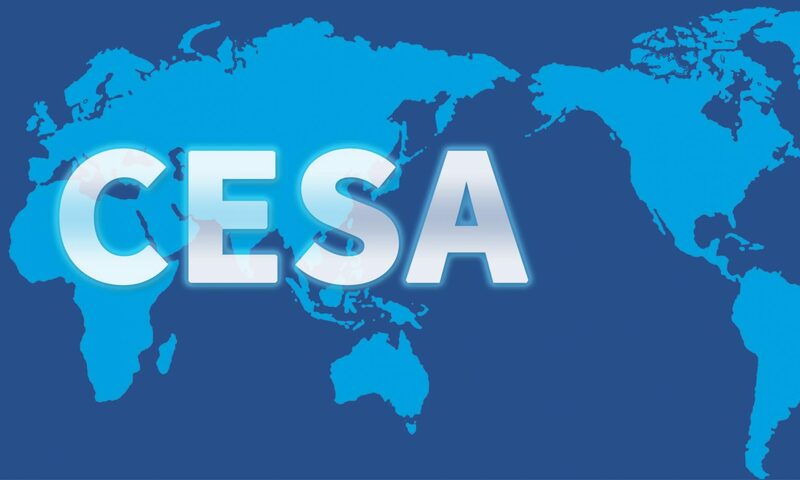 CESA will continue to play an active role and amplify its voice within the WCCES, strengthen its ties with other comparative education societies throughout the world, and, crucially, assist its members in enhancing the international visibility and influence of Asian educational scholarship. It is partly with this end in view that, as of 2017, we have entered into a formal partnership with the Asia-Pacific Journal of Education – which is now officially the CESA journal. CESA’s 12th biennial conference will be held on September 26-27, 2020 in Kathmandu, Nepal – marking the first time this event has been staged in South Asia. The theme of the conference is Valuing Diversity in Education: Formal and Informal Learning Across Cultures. The conference will offer the opportunity for presentations of cutting-edge research addressing theoretical, empirical, and practical problems in education. All educational researchers, policymakers, scholars, students and other stakeholders are sincerely invited to attend the conference and make their contributions to the field. The Call for Papers is now open and can be downloaded from our website. Now in its third decade, CESA faces new opportunities and new challenges from a position of unprecedented strength. But CESA‘s future depends on the joint efforts and contributions of academics from around Asia and beyond. We sincerely welcome questions, suggestions, and new ideas for collaboration from colleagues throughout the world. Let us join hands and try to make a difference in education. * The CESA constitution stipulates that there can only be one voting Board member for each country or region. The 11th Biennial Conference: Cambodia. Theme: Education and Social Progress: Insights from Comparative Perspectives. The 10th Biennial Conference: Manila, Philippines. Host: Henry Sy Bldg., De La Salle University. The 9th Biennial Conference: Hangzhou, China. The 8th Biennial Conference: Bangkok, Thailand. Theme: Education of the Dawn of the New Decade: When the Quality and Sustainability Movement Converge. The 7th Biennial Conference: South Korea. The 6th Biennial Conference: Hong Kong, China. The 5th Biennial Conference: Selangor, Malaysia. The 4th Biennial Conference: Bandung, Indonesia. The 2nd Biennial Conference: Beijing, China. Theme: Modernization of Education vs. Cultural Traditions: Prospect of Asian Education in the 21st Century. The 1st Biennial Conference: Tokyo, Japan. 5 June 2018 – We have launched CESA Review and Publication. 11 May 2018 – The 11th Biennial Comparative Education Society of Asia, CESA 2018 was held at Sokhalay Angkor Villa Resort, Siem Reap, Cambodia from 11-12 May 2018. For further information, please follow the link. 06 September 2017 – CESA and the Asia-Pacific Journal of Education have agreed on a formal association, whereby the APJE becomes the official journal of CESA. A focus issue of the APJE, inaugurating its new relationship with CESA, was published which can be accessed here. 30 May 2017 – We have launched the website for CESA. 07 Jul 2015 – The 10th Biennial Conference was held at Henry Sy Bldg., De La Salle University, Manila, Philippines from 28th-30th January 2016. 22 Dec 2014 – Report of the 9th Biennial Conference is now available from here. 13 Apr 2014 – We have relaunched our website. We apologize for any inconvenience occurred to you. 10 Apr 2014 – We are pleased to announce 9th CESA Conference in Hangzhou, China. Please see here. 30 Jun 2011 – We have built a new website for CESA. All new information will be updated here.